Boyle and the Ravens have agreed to a three-year contract extension worth $18 million, Ian Rapoport of NFL Network reports. Boyle caught 23 of 37 targets for 213 yards in 2018. Analysis: The fourth-year player out of Delaware set a new career high in receiving yards but is still searching for that elusive first touchdown. Boyle was also a major staple in the offense as a whole, playing 55 percent of the offensive snaps and adding value as a run blocker. The Ravens did spend two 2018 draft picks on tight ends, which may signal the end of Boyle and Maxx Williams' time in Baltimore once they hit free agency this offseason. Boyle (concussion) is active for Saturday's game against the Chargers. Analysis: Boyle was listed as questionable but he had already cleared the concussion protocol, making his availability unsurprising. 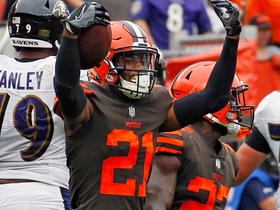 The 25-year-old should continue in his low-volume role at tight end for the Ravens with Mark Andrews and Hayden Hurst both healthy. Boyle is listed as questionable for Saturday's game against the Chargers, despite having cleared the NFL's concussion protocol, Jeff Zrebiec of The Athletic reports. Analysis: Boyle missed the Week 15 win over the Buccaneers due to the head injury but stands a good chance at playing Saturday. Coach John Harbaugh labeled Boyle a game-time decision, so official word on the tight end's status likely won't come until the Ravens release their inactive list 90 minutes prior to the 8:20 p.m. EST kickoff. Boyle (concussion) took part in Wednesday's practice session, Jeff Zrebiec of The Athletic reports. Analysis: Boyle didn't participate in practice Tuesday, so his graduation to at least limited participation Wednesday vastly improves his chances of suiting up for Saturday's matchup with the Chargers. He will still need to be cleared from the league's concussion protocol to do so. Boyle (concussion) did not participate in Tuesday's walk-through, The Athletic's Jeff Zrebiec reports. Analysis: Boyle remains subject to the league's concussion protocol after suffering a head injury during Sunday's win over the Buccaneers. His status must improve throughout the week before he potentially becomes available for Saturday's tilt against the Chargers, though the Ravens have several complementary options at tight end, including Mark Andrews, Hayden Hurst and Maxx Williams. Boyle was ruled out after suffering a concussion in Sunday's game against Tampa Bay. 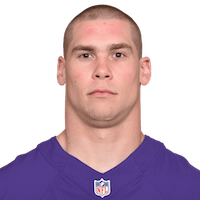 Analysis: Boyle had been seeing the majority of snaps primarily as a blocking tight end for the Ravens, the offense wouldn't be impacted negatively if he is forced to miss time. Mark Andrews and Hayden Hurst would stand to benefit if Boyle is sidelined for any period of time. Boyle caught one of two targets for seven yards against the Falcons. 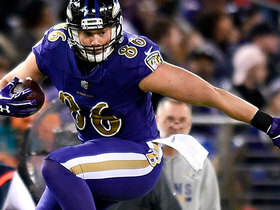 Analysis: Boyle saw the most snaps of any Baltimore tight end, seeing 50 total while Mark Andrews saw 32 and Hayden Hurst played 21. However, Boyle mostly functioned as a blocker while Andrews and several other players saw more targets. Boyle is still a cog in the offense, but most of his utility is outside the fantasy scope. Boyle caught both his targets for 19 yards in Sunday's win over the Raiders. 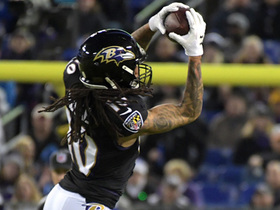 Analysis: Boyle played a 73 percent snap share Sunday -- trailing only QB Lamar Jackson and the offensive line -- but the Ravens again leaned heavily on their run game with the rookie under center. 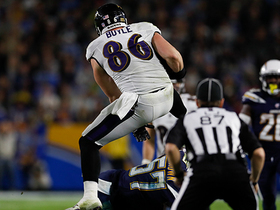 Given his general lack of production this season and the offense's reliance on the run game with Joe Flacco (hip) sidelined, Boyle isn't worth fantasy consideration outside of the deepest of formats. Boyle hauled in all four of his targets for a total of 36 yards during Sunday's 24-21 win over Cincinnati. Boyle was not targeted over his 21 offensive snaps Sunday against the Steelers. Analysis: Boyle's offensive usage has been up-and-down throughout the year, and it bottomed out Sunday. He was not targeted and played a season-low in snaps. Meanwhile, rookies Mark Andrews and Hayden Hurst both saw more playing time than Boyle, and fellow veteran Maxx Williams was a healthy scratch, suggesting that Baltimore may be turning to its rookie tandem full time moving forward. Boyle and the Ravens are on a bye Week 10 before returning to action Nov. 18 against the Bengals. Baltimore Ravens tight end Nick Boyle delivers an epic hurdle after a pass from his quarterback Lamar Jackson. 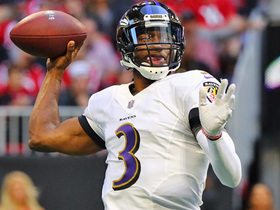 Baltimore Ravens quarterback Robert Griffin III makes his first regular season completion since 2016. Baltimore Ravens quarterback Joe Flacco throws on the run to wide receiver Chris Moore for a 20-yard gain. 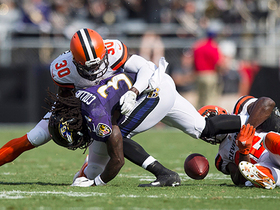 Baltimore Ravens running back Alex Collins gets upended and fumbles, but the Ravens recover it quickly. Baltimore Ravens tight end Nick Boyle shows off his athletic ability with an awesome hurdle over Miami Dolphins linebacker Kiko Alonso. 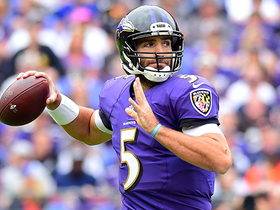 Baltimore Ravens quarterback Joe Flacco goes for a two-point conversion after the touchdown to tie it up. 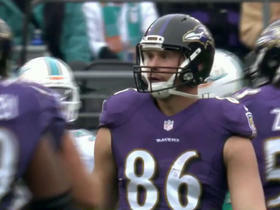 Baltimore Ravens tight end Nick Boyle hurdles over Jacksonville Jaguars defenders for 7-yard gain. 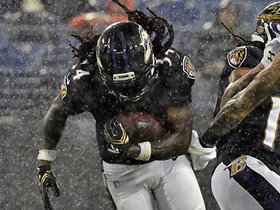 Watch Baltimore Ravens running back Alex Collins explode through the middle and fumble.